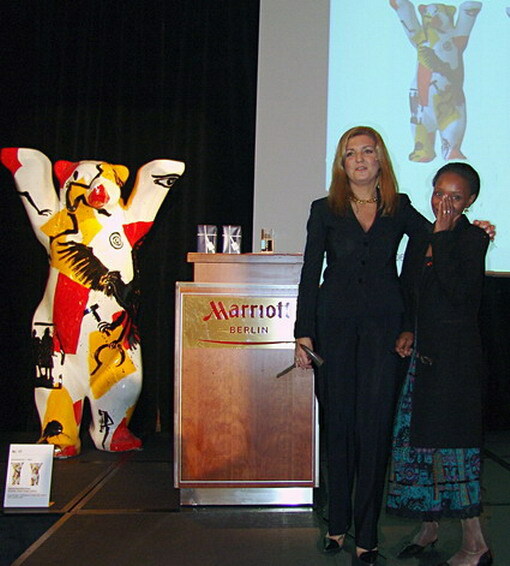 On 7th November 2006, several Buddy Bears were sold at an auction at the Berlin Marriott Hotel in aid of the UNICEF project "Schools for Africa". In the presence of Ralf Bauer as the UNICEF patron and the actress and Buddy Bear ambassador Dennenesch Zoudé, € 55,700 were generated by the great auctioneer Julia Theurkauf in aid of UNICEF (project: "Schools for Africa") and a further amount of € 11,033 in aid of the Buddy Bear Help e.V. project: "Heart operations for children in La Paz". Mainly bears from the circle of "UNITED BUDDY BEARS" that have already promoted tolerance and international understanding in 10 cities on 3 continents (among others in Berlin, Hong Kong, Istanbul, Tokyo, Seoul, Sydney and Vienna) were sold at the auction. Many of these bears have already travelled 50,000 sea miles and 10,000 km overland. 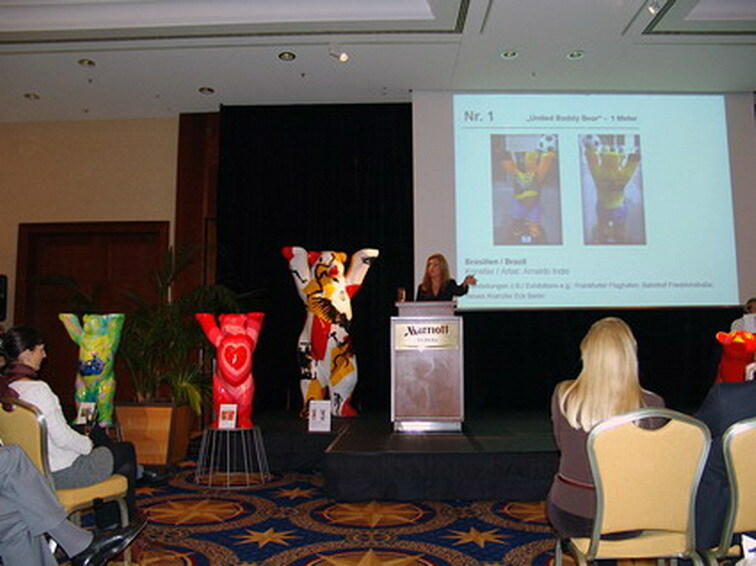 The highest price (€ 10,500) was achieved by the "United Buddy Bear" designed by the artist Helge Leiberg. 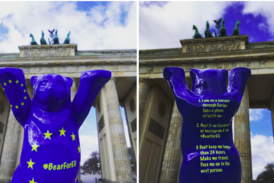 This bear represented Germany as part of the unifying circle of "UNITED BUDDY BEARS" in Tokyo, Seoul and in Sydney.